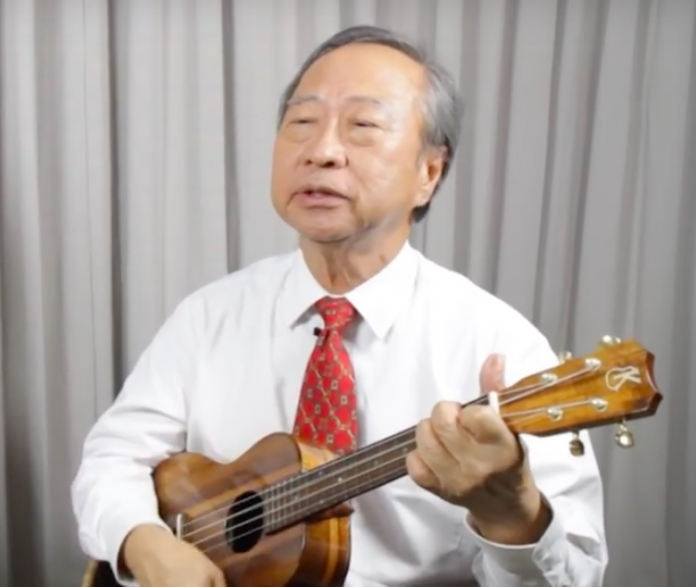 In a congratulatory Facebook post to Dr Mahathir last week, Dr Tan Cheng Bock spoke about age. 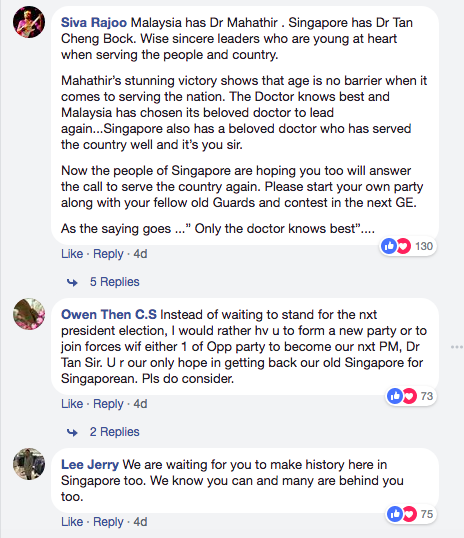 Dr Mahathir won Malaysia’s elections at the robust age of 92. Dr Tan also took the opportunity to reminiscence with pictures of Dr Mahathir at a Medical Alumni function in the 1980s. 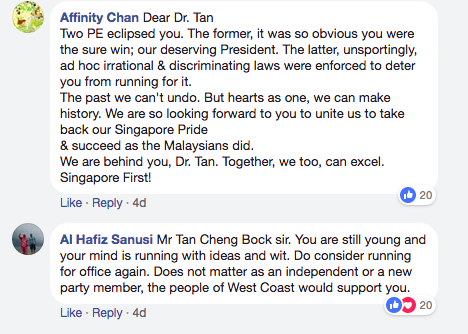 Dr Tan’s post was flooded with comments about how he should contest in Singapore’s next elections.